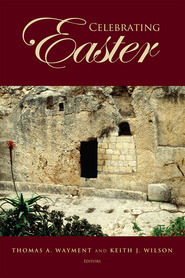 Celebrating A Christ-Centered Easter is a good way to remember what the Easter holiday is about. Emily has broken it down to seven parts of the story of what was going on at that time with our Savior through seven people who had good examples and relationships with him. She uses these for seven weeks to strengthen her family's relationship to Christ. She shares how she celebrates each week with these people who had dealings with the Savior, songs, activities to draw her family closer together and to remember the savior. I like the traditions of the red eggs. I did not realize what coloring the eggs meant. This book is a fast read. Or you can spend a lot of time really learning the lessons, read the scripture accounts, sing the songs and do the activities of service and other things with the idea to bring Christ into our lives more fully. I like Emily's writing style and the tone of her books. I have now only read two of them so far and I have loved both. I would read more books from Emily Belle Freeman in the future. I was given this book so that I could honestly give my own opinion of Celebrating A Christ-Centered Easter and be part of its book tour. It seems like I forget to put the emphasis of Easter on Christ. I don't spend as much time preparing for it as I do Christmas. Eater has just as much significance to the Christians as Christmas. For me this book was a great reminder to place Christ first and foremost in my holiday preparation. The book takes seven chapters to remind us of events central to Christ's sacrifice and resurrection. Each chapter is based on stories from the Bible. I love how Emily is able to relate experiences to the scriptures. For me it helps show how they are applicable in our modern day life. Each chapter is short and concise. The information is relevant and inspirational. I love that I can use the chapters as short lessons to share with my family. The ideas for traditions can be done over weeks, days, or just a few can be implemented. This is a great addition to my library. I am grateful for the opportunity to read this book and look forward sharing it with my friends and family. He is Risen! My favorite Holiday! This new book by Emily Belle Freeman is an incredible resource and opportunity for you to transform your Easter into a spiritual, healing, and inspiring holiday for your family. It is filled with testimony, love and the hope found in and through Jesus the Christ. Emily has been generous enough to share simple traditions and teaching opportunities that have worked in her home. I can't thank her enough for sharing these messages with me. This book focuses on the experiences that people had with Jesus the week before his crucifixion and resurrection. It includes the stories of Lazarus, Simon, Joseph of Arimathea and Nicodemus, Mary Magdalene, Mary and Salome, The Disciples on the Road to Emmaus and Jesus Christ himself. Each of the 7 experiences included in the book detail scriptures and also a simple craft or token to represent the story shared and the meaning behind it. 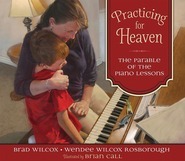 They are set up like small devotionals that you can share through out the weeks leading up to your Easter Celebration. They are well written, well thought-out and easy to implement in your home. Emily Belle Freeman is a gifted writer. One of the things that she excels at is opening the scriptures and likening them to our day. She often helps me find myself with in the pages of the written word. Perfect for family of all ages! 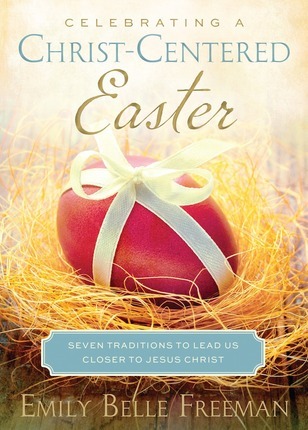 What I love about this book is that it gives you a new perspective on Easter. Many people often think about the last week of Christ's life and then his resurrection which, of course, is the main reason to celebrate. But Emily takes your through the eyes of other people who were there during these times and their experiences with the different events surrounding Christ's death and resurrection. She talks about Lazarus, Simon, Joseph and Nicodemus, the women, Thomas, two disciples on the road to Emmaus, and then finally Christ. Emily takes you through the scriptures to help you better understand these people, their experiences, and their feelings. She also shares great personal stories as well as cultural events. And then she shares a tradition to represent each person to help you remember them and what they experienced. I also love that these traditions are for children of all ages. I love that I can implement these activities now while my children are still young and continue to do them as they grow up and better understand them. These traditions can be done the week before Easter, for Family night activities and lessons before Easter, or great devotionals to do with your family. It's also a great way to introduce your family to other parts of the scriptures to help them know them better and the lessons that we can learn from them. This book is a quick read with lots of great ideas! Emily is also very engaging and passionate which also makes for a great read. What I've waited for for decades. I've always felt that I wasn't quite getting the meaning of this pivotal holiday across to my family, or reaching the depths of it myself. I am a person who loves tradition, expression and visual representation to nudge me into a richer experience. Emily has fast become one of my most powerful human mentors. Her way of reaching candidly into the heart of a message and bringing it brightly and simply home into the every-day is phenomenal. She turns a phrase to mean something I have always felt, but never quite been able to exactly express. This volume is rich in discovery as well as inspiration to remember what I already know. She uses experiences, as did the Savior, to teach, to solidify and to seep into the heart, the true reason for this of all seasons. I am grateful to her for this bounty of ideas to enrich my personal celebration and my families recognition of the divinity of this season.